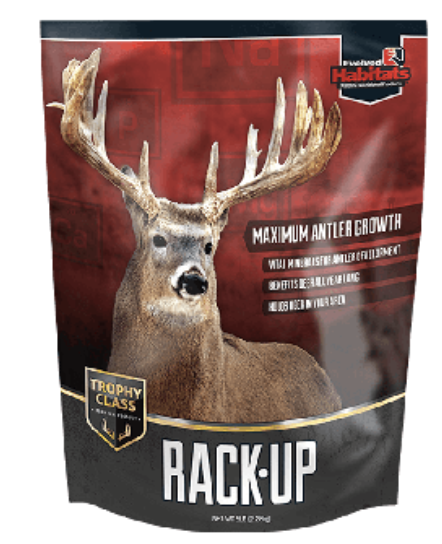 Rack Up Trophy Class instantly establishes a mineral site that will build traffic quickly and keep deer coming back for weeks. Best of all, beneficial nutrients like calcium, phosphorus, magnesium, sodium and molasses help build bigger, stronger bucks. This super-concentrated formula contains more than double the mineral content of most other deer mineral products.